Located in an agricultural training farm, the Kindergarten in Ramat Gan covers 100 m² and is surrounded by an extensive vegetable garden. The location of the Kindergarten was a source of inspiration for its design, divided into two classrooms for two age groups. The Israeli "Sabra Pear" that grows in and around the Kindergarten was stylized into a central decorative motif, linking the outside to the inside. The design is characterized by simple, concise lines and a reduced color scheme, avoiding clutter. A sculptural, play-oriented mushroom enables the children to gather in hiding places underneath, offering a nook to play and relax. Concrete images from the animal kingdom and various textures are imprinted into the hand-crafted wooden furniture. The design includes soft, hand-sewn objects befitting for young children. 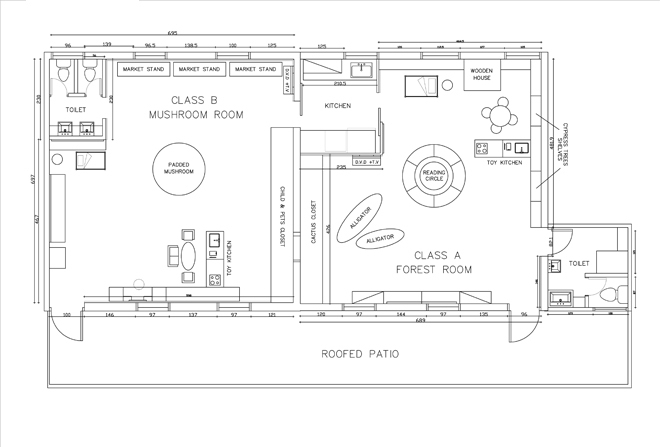 The dimensions of the Kindergarten called for a design based on needs and functionality. 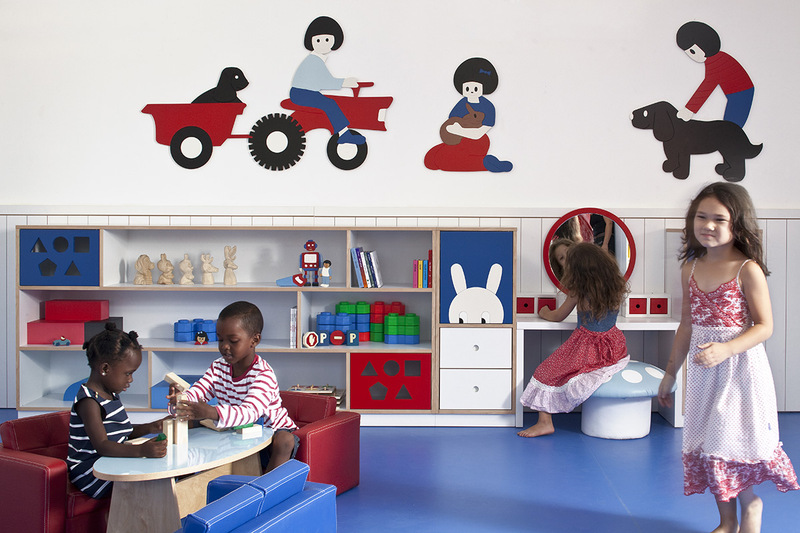 The result is an intimate space that encourages the children to use their imagination in the different play stations, offering a unique experience. The overall design concept reflects the world view of imaginative design and creativity which places the child at the center both metaphorically and ergonomically.